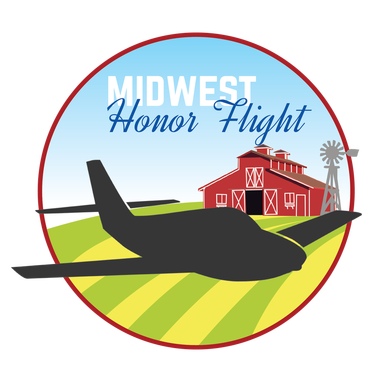 Midwest Honor Flight is a non-profit organization in Northwest Iowa, South Dakota, and Southwest Minnesota dedicated to providing Veterans with honor and closure with an all expense paid trip to our Nation's Capital. ​Our Mission: To transport America’s Veterans to Washington, D.C. to visit those memorials dedicated to honor the service and sacrifices of themselves and to fellow Veterans. Honor Flight Network is a non-profit organization created solely to honor America’s Veterans for all their sacrifices. We transport our heroes to Washington, D.C. to visit and reflect at their memorials. Top priority is given to the senior Veterans – World War II survivors, along with other Veterans who may be terminally ill.
Of all the wars in recent memory, it was World War II that truly threatened our very existence as a nation—and as a culturally diverse, free society. According to the Department of Veterans Affairs, an estimated 640 WWII Veterans die each day. Our time to express our thanks to these brave men and women is running out. WE CAN'T ALL BE HEROES. ​SOME OF US HAVE TO STAND ON THE CURB AND CLAP AS THEY WALK BY. Giving Our American Heroes One Final Tour with Honor! ​98.9 cents of every dollar donated to Midwest Honor Flight goes directly to getting our LOCAL Veterans from NW Iowa, the State of South Dakota, and SW Minnesota to Washington, D.C. at no cost to the Veteran. ​Sign Up for MWHF Updates!